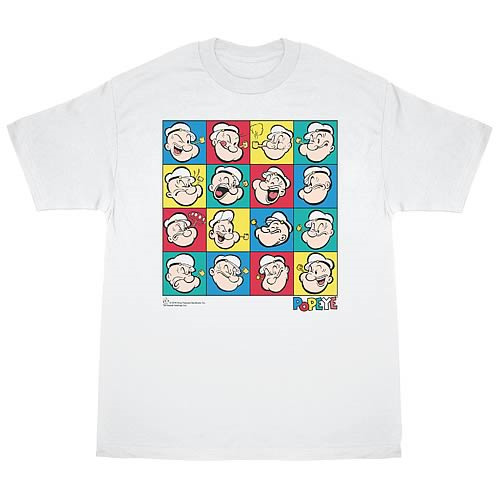 Popeye Color Block T-Shirt. Don't forget to eat your spinach! Celebrate the classic animated sailor man with this 100% cotton, high-quality, pre-shrunk white t-shirt. Machine washable. Order yours today!